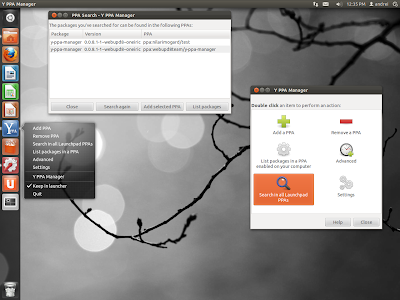 Y PPA Manager 0.0.8.1 has been released today, bringing support for Ubuntu 11.10 Oneiric Ocelot and quite a few bug fixes. I've also tried adding a PPA ranking system based on the number of downloads for each PPA, but it was very slow and since it depends on Launchpad and not me, I've disabled it for now. I'll enable this feature as soon as this is fixed. For more info, see the Y PPA Manager Launchpad page.